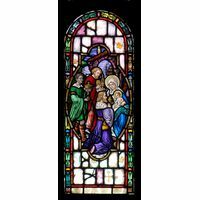 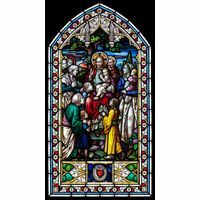 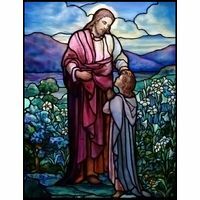 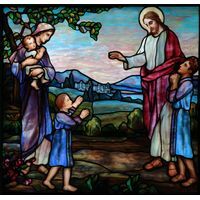 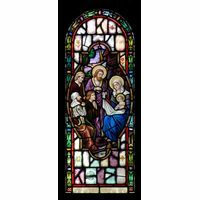 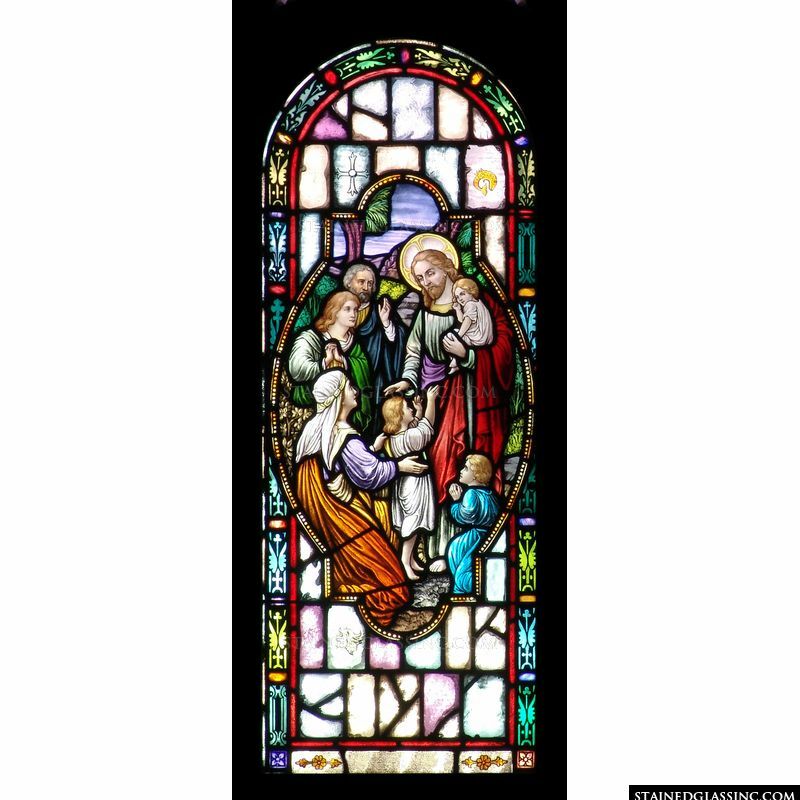 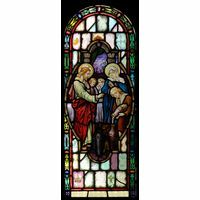 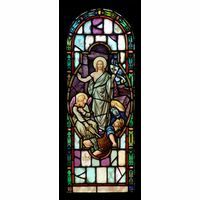 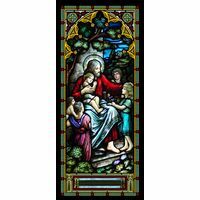 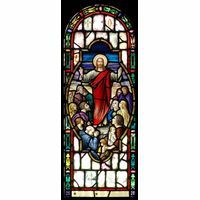 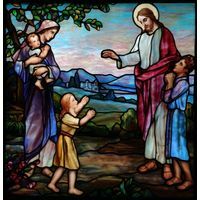 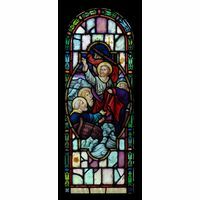 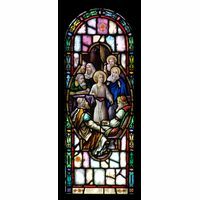 This Christian-themed stained glass window about Jesus' life depicts Jesus blessing the children. 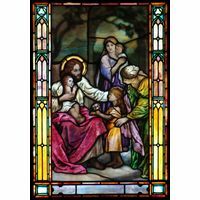 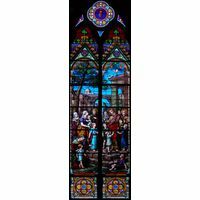 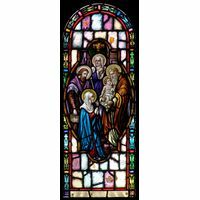 It features a beautiful, colorful border and subtle Christian symbols randomly placed throughout the glass, adding inspiration and different perspectives for the viewer. 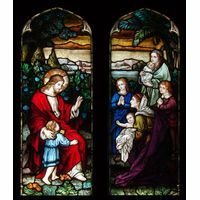 This is an excellent addition to a Sunday School room, religious school, chapel or home, reminding Christians that age is not important when it comes to faith and learning.